For those interested in the George Papadopoulos appearance on BBC hardtalk, here is the link. 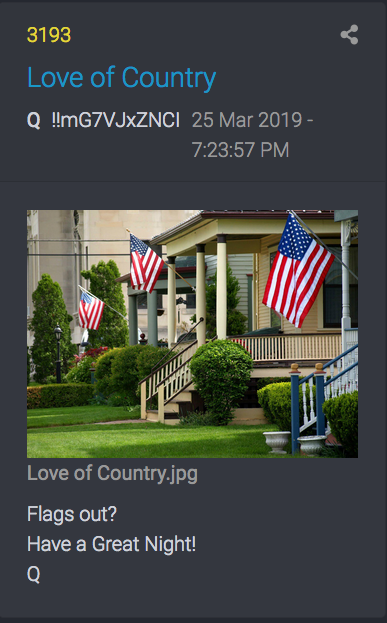 The decode this post replies to (on #3195/ RBG being LOADED) made it into Qresearch "notables", which is a reasonable pointer that I'm on the right track. You beat me to all info you found including the plane & helo. Nice correlation with '382' and the older post; forgot about that one. HPA (High Power Amplifier) band communications. 382 is the prefix of the phone number to the company that sells it. Check bottom of each page of the pdf price list. Government purchasing website. MBSC, just had a thought re HPA382 - is this related to the Hillary/Hussein 16yr plan? 3 = 3 people, triumvirate, running the plan? It's funny watching the Deep Staters eating crow. Too little too late, I hope. In Q Message #3195 @ qmap.pub... , there's confirmation that Ruth Bader Ginsburg is still alive, but when you listen to the audio, she does indeed sound weak and confused...which is what I think Q is stressing. In fact she says something so strange near the end of the audio, the presenting attorney sounded frustrated trying to answer Ginsburg's question. I couldn't make it out myself...even with the headset volume turned up to maximum. She sounded quite frail. What was that nonsense her handlers were peddling a few weeks ago? That she was walking a mile every day, or something along those lines? In the audio, she sounds like someone who struggles just to get up out of the chair. Is this a reference to the next date/day the US puts out the flags? Methinks he had someone he trusted feed him complete horse crap for the past 2 years and he ate it up, or he knows everything hes been talking about is bunk from the very beginning.